Social media went into a frenzy after pictures of an “angelic” five-year-old girl was posted on Instagram. 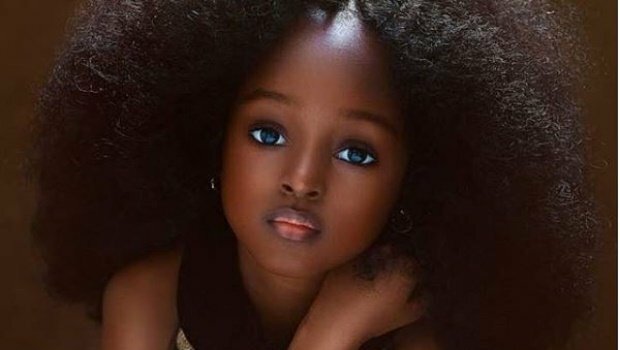 Photographer Mofe Bamuyiwa from Nigeria, who shared the stunning photos of little Jare Ijalana, shot her against a plain background to bring attention to her beautiful, big eyes and smooth melanin skin, Mail Online reports. Mofe posted three photos of Jare, captioning them, “Oh yes she’s human! She’s also an angel!” and “Children are a gift from heaven,” Mirror reports. The pictures got 20 000 “likes” on Instagram with people calling little Jare “the most beautiful girl”. “Jare isn’t a professional model,” Mofe told Yahoo Lifestyle. The photographer encouraged Jare’s mother to create an Instagram account for her and her older siblings, Jomi, 7 and Joba, 10. The account is called The J3 Sisters and it’s already gained more than 5000 followers. Mofe can’t believe the amount of attention the pictures have received. Is there still such a thing as being 'too young' to wear makeup?